Your one stop destination for all your moving needs. Think you have everything sorted for the big day? Here you’ll find a range of How To Videos to have you packing like a pro and some tips, tricks and FAQ’s we’ve learnt along the way! Get organised with these resources! 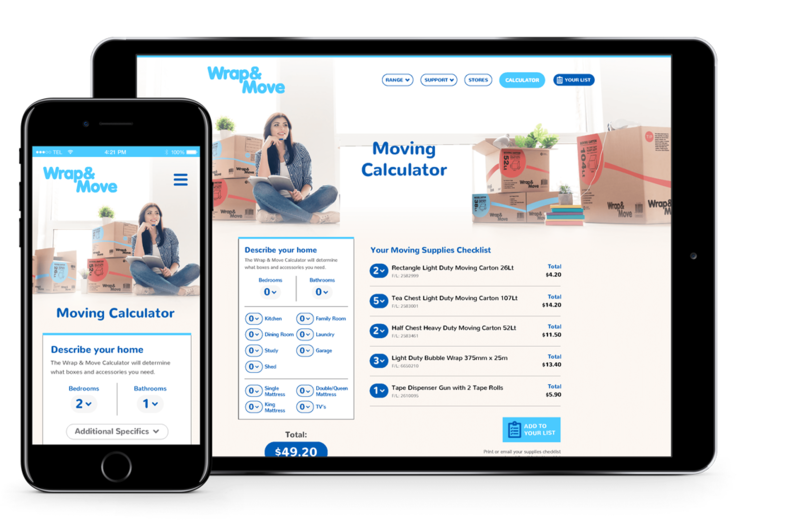 Use the Wrap & Move Calculator to ensure you have all the moving supplies you’ll require on the big day! The easy to customize Moving Planner will help ensure you have everything ready for your move. Create your to-do list with Wrap & Move! We’ve done this before – let us worry about protecting your belongings so you can focus on the bigger things. Here are a number of handy tips and tricks we’ve learnt along the way which might just make moving a little less stressful. Don’t leave your move up to chance. Give yourself the best opportunity for a timely and worry-free move by watching our range of How To Videos. Worried you’ve missed something? Got more questions? Moving is stressful, we get it. If you’re thinking it, chances are we’ve been asked before. Take a look at a list of questions we’re frequently asked, with some helpful answers.